Similar to hearing favorite old songs, smelling familiar scents can take you right back to a specific point in time and remind you of fond memories. I’m hoping this stove top holiday potpourri does just that for Hailey when she’s grown and living on her own. It was simmering on the stove a few mornings ago when she finally rolled out of bed for the day (she’s not exactly what you’d call a morning person!) 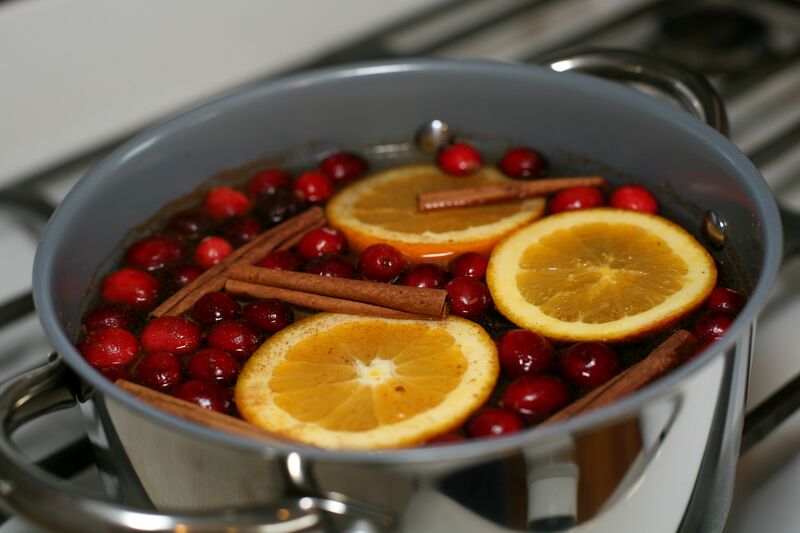 and as she walked into the kitchen she said “it smells like Christmas!” The cinnamon got most of the credit for that, but it blends beautifully with the oranges and cranberries. To me, it makes our home relaxing and bumps the cozy factor up a notch! My favorite setting right now would be a cold day with snow flurries we could watch out the window as the potpourri simmers on the stove and the fireplace warms the living room. Add a cozy blanket, family and some movies and you have holiday perfection! Cold weather is typically the norm in Ohio during December…except for this year, of course, when we’re expected to be in the 50’s and 60’s as we approach Christmas day. Don’t get me wrong, I’m all for a mild Winter! I just want some light snowy weather the week of Christmas to make everything a little more magical. Can’t I have my pie and eat it too? 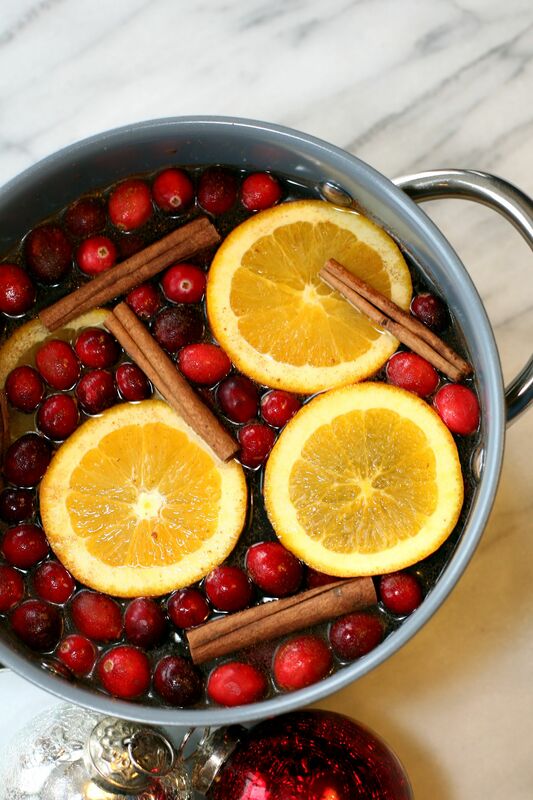 (I prefer pie over cake :)) Even though it’s been a little warmer, we’ve had rainy days all week so the simmering potpourri still works wonderfully! When I came across this recipe online, I also noticed the brilliant idea of turning it into a gift. With some clear bags, pretty ribbon and a festive tag you can turn these scents into a beautiful package neighbors, friends and family would love! It would make a great gift for teachers as well! Packing everything into a new saucepan would be really cute too especially for a house warming gift or a couple getting married near the holidays! You can definitely have some fun and get creative with this one! Enjoy! 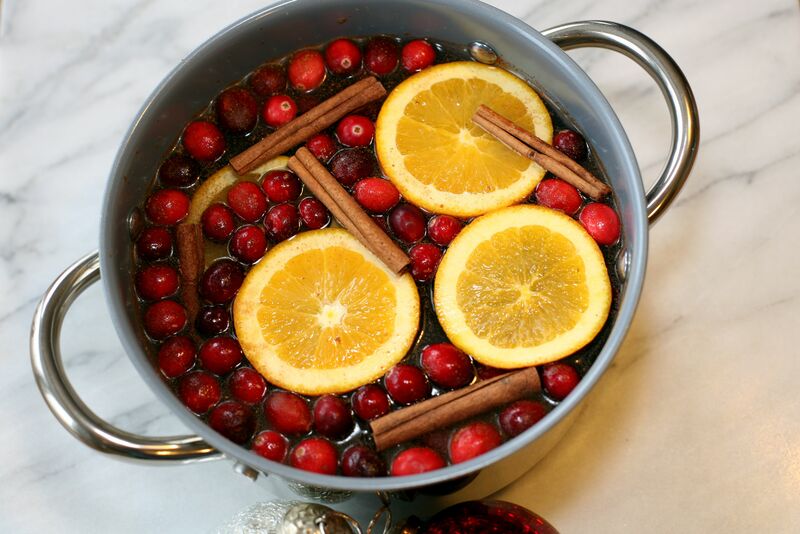 Fill saucepan with water and add all ingredients. Simmer on low heat. Add water as needed.